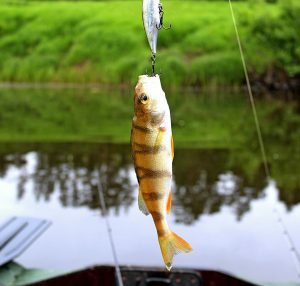 Saginaw Bay continues to have slow but steady perch fishing as most boats were getting less than 10 per trip. 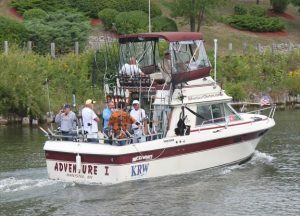 Fish were found in 10 to 15 feet off the Saganing Bar, the Pinconning Bar and near the mouth of the Pine River. Much of the inner bay was all churned up after the strong winds. Anglers caught anywhere from three to 15 perch near the sailboat buoys off Linwood, the Spark Plug, the old shipping channel and near Spoils Island. Shore anglers fishing the channel at Finn Road caught some nice bluegills and sunfish, but fishing was slow up the east side. A couple walleye were caught by shore anglers at the marina at Sebewaing. Au Gres Area where some perch were taken near the NOAA Weather Buoy. The perch fishing has been steady but slow with most boats bringing in less than 10 per trip. 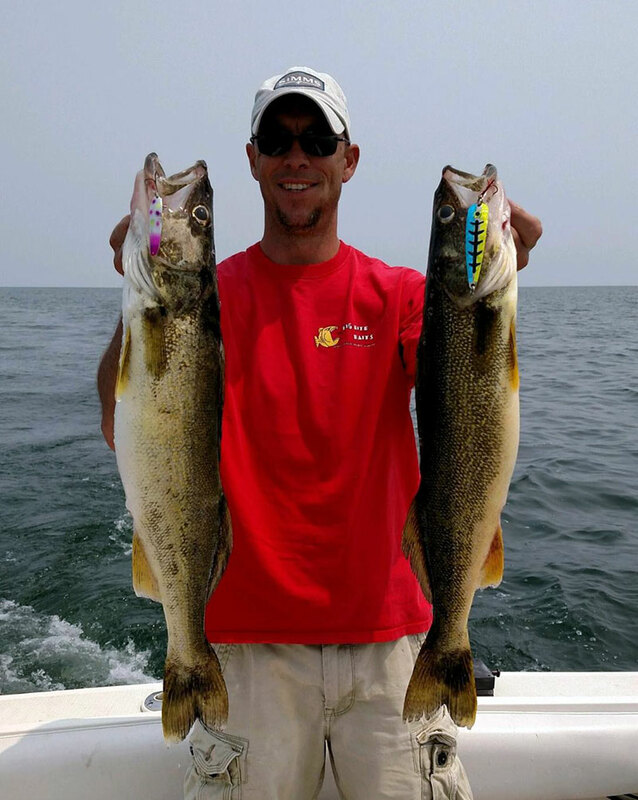 Oscoda Area a couple lake trout were caught on spoons and spin-glo’s near the bottom in 85 to 120 feet. Fish were marked throughout the water column but the bite was slow. Those trolling spoons and J-plugs just off the mouth of the river were marking fish but only caught a couple walleye. Pier anglers also caught a couple fish at night when casting crank baits. Those targeting smallmouth from the pier caught a few nice fish when still-fishing or jigging with minnows. Those targeting salmon had little success. Au Sable River where lower river cooled to the mid to high 60’s but fishing was still pretty slow with very little success. Anglers were targeting Chinook by casting spoons or floating spawn bags and skein. An unconfirmed Atlantic salmon was reportedly caught, and a couple smaller steelhead were spotted moving up the river. Smallmouth bass and a few large bluegills were caught when drifting or still-fishing with crawlers. Port Austin Area a couple walleye were taken on crank baits in 40 to 60 feet. The fish seem to be scattered. Lake trout were taken in 130 feet. 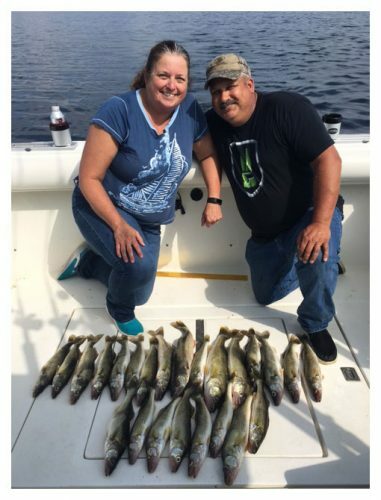 Tawas Area small perch were taken off Jerry’s Marina in Tawas Bay. A few walleye were caught in 70 feet beyond Buoy #2 and lakeward of the Bell Buoy off Whitestone Point. A few Chinook salmon were seen around the pier and off the mouth of the river. Fishing Tip: Is your outdoor first-aid kit ready to go?